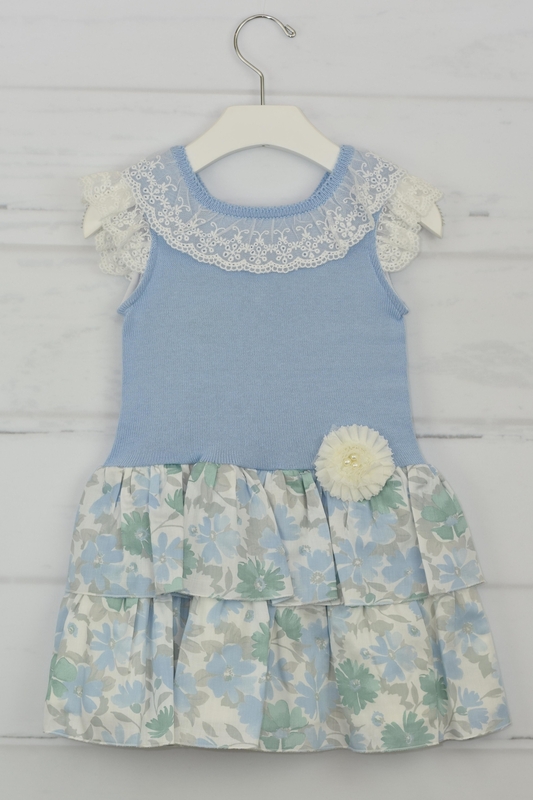 An elegant and unique flower print dress for little girls. 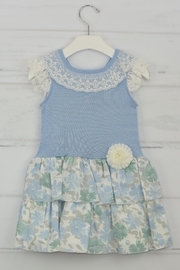 This piece is unique since the top is knitted in light blue and the skirt is made with a soft cotton fabric with a flower print that looks like a watercolor. 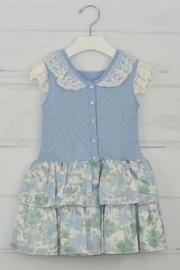 It has lace surrounding the collar and sleeves. It has buttons on the back for closure.